Branded Promotional Products; Are They Still Effective? Over the last several decades, Branded Promotional Products seemed to be in a decline, as cheaper forms of internet marketing became readily available. So called free media on the Internet such as Social Media, Blog Sites and Social Sharing Sites were said to have made the world of marketing one big utopia of free marketing opportunities, and how did that work out? Not so fast, turns out almost every one of those “free’” sites has a “pay” option, FaceBook, Twitter, Pinterest, even the search engines have advertising fees for prime placement. And that is as it should be, marketing and advertising is a business, just as you are in business. To have an effective marketing and promotional program, you need to spend money. The very definition of a successful business is to spend money, make money and the profit is how successful you are. The old adage “you have to spend money to make money” is so true in business, and marketing is part of business. What you may not know is that one of the most effective parts of a good marketing plan involves branded promotional products. Those pens, tablets and squeeze balls you see, in fact be honest, you have one in your desk right now don’t you? How many times do you cut an ad out of a magazine and put it in your desk drawer, I bet never, getting my point? Branded Promotional Products are another form of advertising and marketing and is also a business, the question is, can investing in these little give always be as profitable or more profitable than other forms of advertising in an overall marketing program. We have compiled some facts and their sources which we feel you will find informative in your Due Diligence. We encourage you to research for yourself, but give a fair look at making Branded Promotional Products as regular part of your Marketing Program. Examples of common Branded Promotional Products include: pens, calendars, T-shirts, caps, cups, mugs, napkins, calculators, key chains, desk and computer accessories, bags, totes, bumper stickers, yard signs, labels, decals, etc. But we at The Corporate Brand like to help you find something that may make a real difference in your market! Ever see an office with a branded office clock? How many views do you think that one gets a day, you think anyone throws a clock away? Why do Branded Promotional Products Work so Well? Branded Promotional Products offer the advantage marketing programs that fits easily into any advertising budget. Remember that the price of a nice quantity of a high quality item (we do not encourage hot pink or day glow green pens) is less than a 1/8 of a page 1 day ad in a local news paper. Branded Promotional Products complement and actually increase the effectiveness of other advertising media. They can be directed to just the key target within an audience you are targeting with mass advertising, this will dramatically increases their effectiveness by calling attention to an advertising campaign by the key prospects you are trying to persuade. The biggest advantage of Branded Promotional Products is their habit of staying in the possession of the recipient for long periods of time to repeat the advertising message each time the product is used, without extra cost per exposure. People like to receive something free, the nicer the item, the more it starts to be considered a gift. If the item happens to actually be useful and appealing, your logo and message becomes effective as incentives and motivators for not only the recipient but those around the office as well. Because there are so many products available, there is a lot of flexibility in planning a successful promotion. .
Southern Methodist University conducted a study to measure attendee awareness of product demonstrations in three university communities. The study found that selective distribution of promotional products drew more booth traffic than school newspaper advertising by two-to-one. “Promotional products, used in direct mail solicitations, can boost response rates by up to 75 percent”, Stated in a study by Baylor University. Our friends at The Corporate Brand offers literally hundreds of thousands of different types and styles of promotional products. If you would like to see a list of product categories, CLICK HERE and see their vast collection on their LogoMall site. They even have the option to see an item with your logo already on it before you even think about buying it! ! Content Marketing and Social Media how have they Evolved? Will Social Media Still Work for Small Business? What Has Trump Shown Us about Marketing in 2016? There is no question that you can still boost your small business sales, marketing and internet activity, through content marketing and social media networking. Even though there is a lot of talk about social media, content, SEO and networking having passed their prime, and you feel you just don’t have time to do it all, take a lesson from this season’s political primary. If you have been watching the news, and if you have not noticed the primaries you must have been very busy indeed, the candidates that are winning are not the ones that are spending the hundreds of millions on traditional advertising. Where Jeb Bush and Hillary Clinton spent an estimated 100,000,000 on TV and Radio spots, Donald Trump and Bernie Sanders spent a fraction of that amount during the same period on Twitter, instagram and FaceBook, both winning the New Hampshire primary by better than double digit margins, though both widely considered the underdogs going in. What can small business owners take away from this political experience of underdog victories? No I am not saying to bring politics into business, this is still a taboo, but it does outline that not only is social media not reaching its maturity, it has barely reached its stride! We are just discovering that it really can win elections over traditional forms of advertising that has won consistently for 100 years, so what can it do for business. Can social media help your small business compete with the giants of your industry? Marketing is the life blood of your business; it is what keeps your business growing. What makes your reputation is the ongoing dialogue of what the community is saying and thinking about your business and the people associated with you and your business. Today, that also includes what social media is saying about your business and what it is saying about you and your involvement with the community. Content Marketing and Social Media is a living breathing thing which evolving to become the guide more and more customers look to for help in deciding who to trust in a buying or trust decision. So let’s start with the good old basics, and build from there. You have been told for years that Social Media is a silver bullet that will solve all your problems, it will not. You have been told that SEO is the be all end all, it is not, and having a blog will bring you all the customers you need in and of itself, no it will not. 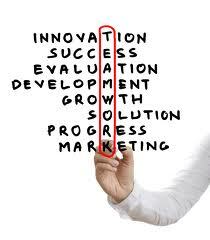 As in every evolution of business marketing history, nothing happens with out a plan, hard work and a lot of effort. But we can help you direct that effort in more efficient ways, more effective ways to meet a changing market in today’s changing world. So what is necessary for a small business to appear to be a player on equal footing with its larger more established competition in today’s new frontier of social media, content website driven, media market of millennia’s driven workforce web searchers? Well, to be honest, we aren’t all millennia’s and we don’t all have to be experts in the twitterverse to make a dent in what is happening with new market realities. But as I said before, to be successful today, as it was in the past, it will take hard work, time and dedication. Nothing is free, nothing is ever easy it is just done a bit differently today. If you follow a few simple guidelines it can be a lot less expensive than it has been in the past for some real tangible success. But remember, if it did not take time, effort and had no cost associated with the marketing efforts, everyone would be successful without effort, and that has never been the case. If you have been around as long as I have you know; “There is no such thing as a FREE lunch”, that said, many great deals have been made over one, so let’s get started. As you begin to develop a regular habit of content marketing and social media, you need to start to tailor your social media posts to exactly what you wish to achieve. You also need to have a plan and couple this plan with content that you post to your blog, which stays in line with the niche you are developing for your unique story, what makes you different within your market. If you were a customer looking for what your provide, what information, answers and points of interest are you providing that would attract you to your product. Research what various factions of the social media network can put in their heading or intro; “Coming up________” that will help their audience to stay tuned in or check back. What about you or your product would cause this reaction, think of catchy phrases, make it easy to promote you or your product. Again, you need to come up with hooks, what makes this social media network member or blogger or interviewer’s audience tune in to his or her show or blog. If it pushes you or your product at the same time, that makes it a win win, that is what we are looking for! You hear a lot about taking things “Viral” or making a “Viral” video. Many will come or send spam emails over and over claiming to make “Viral” videos or blogs for you or to have “fool proof” methods for “Viral Content”. When you see this type of talk, ignore it, no one can “make” viral content, it is something that can be strived for like a hit record or a hit movie, but if there was a guaranteed method for a hit song, The Rolling Stones would still have #1 songs every week. I was in the Music industry for many years, I was lucky enough to hit on big success many times with 66 gold and Platinum records over the years, but that was with many hundreds of productions. There is no way anyone can ever guarantee a hit and there is no way anyone or anything can ever guarantee viral period! That said, you can increase your chances of creating a viral video or blog or even a viral social media post by learning to create a good “Hook”. In the world of advertising it is called a hook, same in the music world, same in the film world. A hook is something you remember, a tune you hum, a scene you remember from a Superbowl add. A hook is something you take with you after you read, hear or see it long after the event of reading, seeing or hearing it. Give them a timely hook, a reason they need to have information about your product now; Tax advice at tax time, new business start up advice in January, new kind of tomato plant in the spring. Now that you have created interest by making the post a topic that will in itself create interest and make the reader want to read the post, there are further considerations. So many neophytes to Social Media approach posts as if they are writing for themselves or to keep continuity to “their” Social Media. This is not the case, you are writing for the audience, and each post stands alone, rarely do readers ever look back, so each post is unique and stands alone, think in terms of content marketing and social media always. Avoid the “I’ll wait till it comes out to publicize the product” approach, look at the political primary elections as an example. Long before the candidates get to an area of a state the more popular ones have been engaged by content marketing and social media. They have read blogs, seen videos, so when they see Trump or Rubio in a town hall, they are seeing a celebrity, not just a political candidate. Pre-publicity was a luxury only the wealthiest of companies could afford in the past, now small business can compete on equal ground, with the right plan and help from a good team. When a new or updated product is released, the publicity must already be in place, The Social Media Network; Twitter, FaceBook and LinkedIn announcements kicking for weeks before the product hits the street. Again do interviews blogs and email blasts, and consistent social media network exposure before the release date as well, to create anticipation of the new or improved product. Listen to your core interest group, you may find improvements or hooks you never thought of before the product even comes out. Another way you may get some viral juice in today’s changing world of almost free publicity machine is by using a little known trick. You want to get on the good side of the influential bloggers. Many of these bloggers that have large audiences in the niche you are aiming your blog and products at are blogging for self gratification. They are not in it for the money, they are industry watch dogs, or industry “experts” or just want to be recognized as “important” to a group of readers. Your attention to them, asking them to look at your product or position, your attention, could be the touch to get their readers to see you in a positive light! Get publicity and exposure on blogs that reach your core audience, not just your personal blog. The top 500 bloggers sites have over 100,000 visits per month; this is a resource you need to tap into! Offer to write an article, this is called a “guest Post” free, this will boost small business. There is also another very inexpensive way to get even more low cost publicity for your small business. In the past Videos, even internal videos showing product training, or simple messages from officers could cost tens of thousands of dollars. Some well produced video products produced on film for larger companies may have cost in the hundreds of thousands. But today, with simple quick 30 – 60 second videos produced very inexpensively, you can get your message across visually and compete even in the video arena with the big boys. You Need a YouTube Strategy, and don’t forget that you can embed YouTube videos within your website, letting YouTube host the videos, but play within your website and not slowing down your website. This can give your website a lift and a much more interactive feeling, with instructional videos, personal messages and fun facts about products and services. What could your core audience be looking for? How can you set up your video so your core audience can find you? Video must be no longer than 2 min. 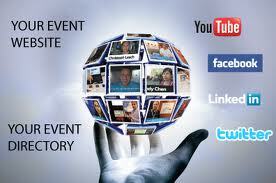 Better to have 40 videos, each 90 second tips, than to have 6 videos, each 15 min speeches. With a little imagination, a lot of work and a little help from your friends, there is no telling how far you can go in today’s world of marketing options. With Social Media, Content Marketing and Video Marketing you can compete on a level playing field with the big boys, for a much lower budget than you ever thought possible. Want to explore the possibilities with a seasoned professional marketing consultant that has been through the transition from the way it was to the way it is. We have been there from the 80’s to the 90’s to the dawn of the Social Media age, the dawn of The Video age, and we saw the transition coming long before it was here. We stand ready to help you take your place in this brave new world, and have a little fun along the way! Marketing should be fun, and if your customers see joy in the way you present your products they see great things in you in a new world of content marketing and social media working together in a complete network. 11 Easy Nonprofit Fundraisers, Great Results Right Now! 1) Super Healthy Smoothie Event – Get a table or stand at the local fair, farmers market, church bazaar or flea market and sell fresh in-season fruit smoothies. Have the fruit and other ingredients donated and have all your members and volunteers bring blenders. You can even have local celebrities volunteer as super smoothie makers for an easy nonprofit fundraiser! 2) Embarrass the Director Event! – Have donors and staff pay a dollar a vote, with no limit on the number of votes they can buy, to decide from a list of 5 embarrassing fates for your good natured director. Their fate could be shaving all facial hair, die hair an embarrassing color, wear a clown suit for a day, trade jobs for a day with volunteers, clean the floor of the local city hall, etc. The possibilities are endless for this easy nonprofit fundraiser and only you know what can bring in the most votes. 3) 50/50 Raffle – This is a no brainier You get a local printer to donate professional looking raffle tickets and sell chances to win for, say $1 each, with no limit to the number of tickets that can be purchased. Here is the hook, the prize is ½ the total intake of funds on this easy nonprofit fundraiser. This way you can periodically announce the size of the prize as it grows, and there is no chance of your organization losing money or insulting a donor because of low ticket sales for the prize they donated! 4) A Seasonal Gift Wrap – The hook here is to set up gift wrapping tables for events other than Christmas in local high traffic shopping centers and malls. Examples of events for this easy nonprofit fundraiser are Mother’s Day, Valentine’s Day, and Secretary’s Day. Again, the possibilities are endless and the free advertising you may get from the mall or shopping center could be stellar! 5) Holiday Email Fun! – In the past, Western Union would send special messages for a fee to loved ones at various events and holidays. This elegant luxury is mostly lost today, but with this easy nonprofit fundraiser you can sell donors the chance for a personalized card to be sent to a loved one with an added gift that the donation made to send the E-card is credited to the recipient as a donation to your organization made by the sender in the receivers name. 6) Mystery Admirer- This event can be a lot of fun. Each donor has a personal note delivered to someone they secretly admire, or someone they openly admire. Here is the catch in this easy nonprofit fundraiser, the one who is delivered the anonymous note must make a set donation to find out who the admirer is, this donation includes a return message; it could go on all day! 7) Mile of Change – In this vary easy nonprofit fundraiser, the organization buys many roles of masking tape and presents the tape in varying lengths to local businesses. The idea is to stick coins of 1 cent up to 50 cents to the tape – end to end. The business that makes the longest strip of tape full of coins wins a nice donated prize. As an added option, have 3 or 4 prizes available, but only if the prizes are donated. 8) Skip a Meal for Hunger – Donors agree to donate at least the value of 1 nice meal and in exchange they skip the meal to demonstrate their solidarity to stamp out hunger in this easy nonprofit fundraiser. 9) Sell Casual Day! – Work with local businesses to get donations from their employees and get the sponsor companies involved to make it a competition for the highest level of donations. The winning companies get an unscheduled casual day, possibly all participating sponsor companies will win if a high enough funds are gathered. This easy nonprofit fundraiser costs nothing, encourages friendly competition, and gets the most dedicated employees a fun cost free brake; win/win! 10) Give to Give it up! – Sponsors donate a minimum amount that can be put up to encourage the victim to participate, to have a friend or boss give up an annoying habit. In this easy nonprofit fundraiser, wives can donate to have husbands agree to not smoke, employees to have a boss shave or weir a T-shirt, the possibilities are endless. 11) Helicopter golf! – Sell Golf balls for $10 each with a unique number, then, send them all up in a helicopter which will then hover over a hole on a local golf course. All the balls are dropped from 500 ft and the one closest to the whole wins. Alternatively, have 3 or even 10 prizes, but all prizes must be donated. If you don’t have access to a helicopter, you can get the local fire department to hover the tall cage over the hole, it is all just good fun after all. This may not be a really easy nonprofit fundraiser, but remember, this kind of event does not happen every day, milk as much publicity for your cause and the donor golf course as possible, maybe even organize a golf tournament around it, but that is a different blog! We would love to talk to you about setting you Website and Social Media Network up to be world class among Non-profits everywhere! 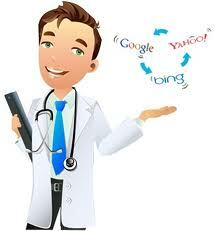 Our methods are unparalleled and success with search engine results win every time. 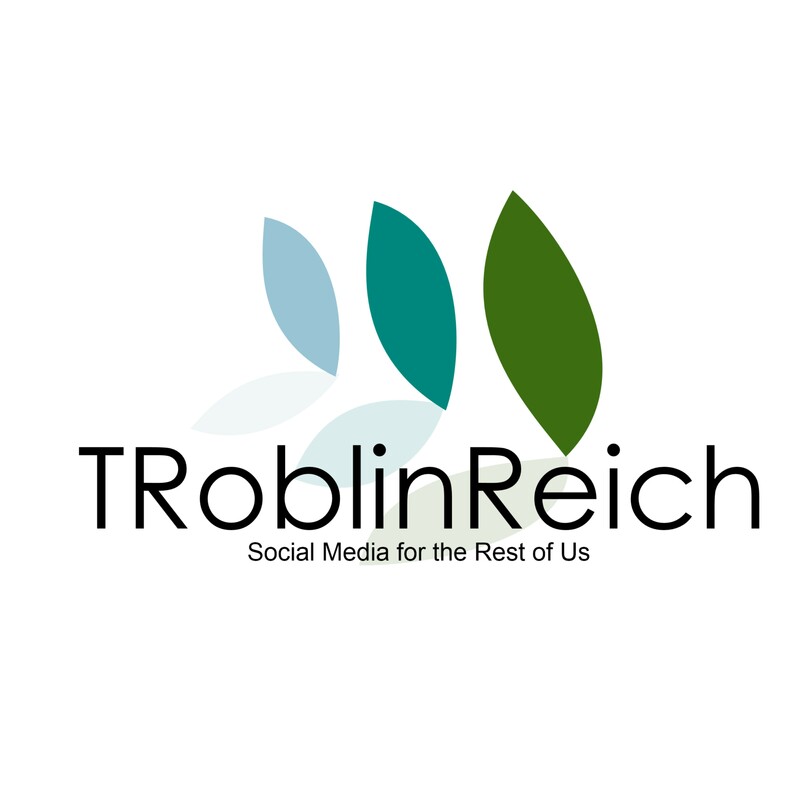 Contact Dr. Reich directly at Director1@gmail.com with any questions you may have, or contact our commercial end of the company YourPMA.com by clicking the button below. See some of the work we have done, some of the successes we have had, from Pop stars to major Charities, we have done it all. Our goal is always to make you visible, and get you noticed. The rest is up to you! Small Businesses can benefit greatly in 2016 from an improved low cost marketing plan or 15 ideas if you will. Many small businesses owners don’t see the need for a cohesive marketing plan, they think marketing is expensive and for larger companies. Let’s look at low cost marketing ideas that can really boost your small business in 2016. To make this work, remember that in the past, every small business bought yellow page adds. The yellow pages are dead, but for a business to remain strong, good marketing must replaces the Yellow Pages exposure that use to be taken for granted. You may find that without some of the low cost marketing ideas discussed here, your small businesses could be seriously underexposed. 1) Your first low cost marketing idea is to create and maintain a good functioning company website. Your website is you’re on line office, your virtual sales floor, the first impression many potential customers have of your small business and yes, it is your new yellow page add. Your website should also be an information resource for your products and services, and should be both optimized for SEO and key words. You must also have an active blog that relates to exactly what you do or the product you sell. 2) Develop a new brand identity; this low cost marketing idea may be easier than you think. How long has it been since you’ve updated your website or marketing materials? Maybe it’s time to take a fresh look and redesign your image, take advantage of the digital domain and the low cost logo updates that are available, they can get you to a whole new updated feeling. Customers and prospects respond to new ideas, updated looks and information which has been optimized for the internet and targeted to their needs. Today everything is about the content of your website, not massive traffic. Targeted content gets you targeted traffic, and a good content creation and marketing firm can get you there. 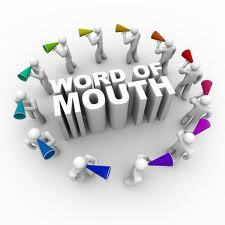 3) Survey existing customers, a low cost marketing idea which is easier than you may think. How do your customers feel about your products and services? Stay in touch through informal lunches or a professionally coordinated survey campaign. A survey is an excellent method for taking the pulse of your audience. The survey should include detailed questions about your products and services and how they directly benefit the customer. 5) Now time for an easy, low cost marketing idea, one you need to do now! The customer is always right… always. The time to prove this statement is when the customer experiences a problem with your product or service. Make a point to take responsibility and solve any problems that a customer might have immediately. Satisfied customers turn into repeat, long-term customers. 6) This next tip, is a low cost marketing idea if it helps you with the previous two ideas. Take a customer out to lunch. Now is the time to ask a reliable customer out to lunch. Touch base with them to see how your company is solving problems and meeting their needs. 7) Well here is the cost, though still a low cost marketing idea if you follow these guidelines. Establish an annual marketing budget. A good rule-of-thumb estimate for your marketing budget is 3% to 5% of annual sales. Retail businesses need to budget 7% to 10% of annual sales for their marketing budgets. Your budget should include a breakdown of all marketing costs including printing, social media, website maintenance and advertising placement. 8) Here is a very low cost marketing idea, but arguably the most important you can consider. Be positive in your outlook. It’s important to feel good about yourself and enjoy what you do for a living. If you have a positive attitude about your job, you will succeed by transferring that enthusiasm to other employees, customers and prospects. 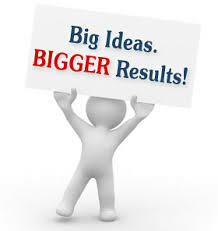 9) *****A low cost marketing idea should always look at social media. 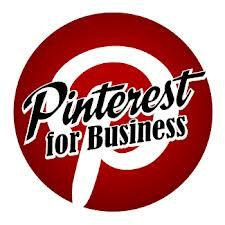 Pinterest is one of the newest and most effective parts of a social media exposure program. You can find out more in these 3 articles:7 Free Pinterest Tools; Things to get You Noticed! 12) *****Don’t forget another social media low cost marketing idea, have an active and constantly updated Facebook account and company page. Learn more here: Want More Visitors? Use Social Media to Drive Visitors Home! 10 Tips and Tricks to make Your Website a Lead Generating Machine! 14) *****The best low cost marketing idea I can give you is this. Learn how to connect your website, blog, Twitter, Facebook, LinkedIn, Pinterest and any other social media fads that appear in 2013 into a network. Learn how to use back links and directories. The more you work on your on-like presents, the more your small business will benefit! Want More Visitors? Use Social Media to Drive Visitors Home! 15) Here is your top low cost marketing idea for 2013, in fact it is the most importaqnt idea you will hear in regards to marketing. In order for anything we have talked about to truly succeed, you need to develop a solid marketing plan! You need a road map, a plan to keep you on track to sustainable goals, and a ruler to judge your success. Part of this plan should include your established budget and an ongoing record of each fassett of your marketing plans success to determin what worked and what to rethink. All low cost marketing ideas are successful if you learn and grow from them. Bonus Low Cost Marketing Idea: Consider hiring a marketing company to help you with a complete formula, if marketing is not your thing. A firm that does marketing for lots of companies can often deliver a great marketing campaign at a very low cost, compared to struggling with a part of small business that can confuse many. Be careful, there are a lot of firms that clams to know what they are doing, hire a firm that trains you to maintain your marketing plan. With low cost marketing ideas generating help, a good digital identity, a well branded small business and attention paid to your customers and their needs, success will be yours in 2014! Have Questions or need some low cost help making your marketing ideas get the attention they deserve, email me at Director1@gmail.com and I will answer you directly and quickly! Lets make 2014 the best year ever! You want to boost small business sales, marketing and internet activity, but where do you spend your time. There is a lot of talk about social media, content, SEO and networking – you just don’t have time to do it all. Marketing is the life blood of your business, it is what keeps your business growing and what makes your reputation what is and what it is evolving to become. 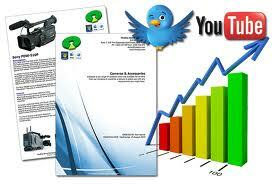 In order to boost small business internet activity we offer the following suggestions and advice. If you have any questions or need help in planning or executing a marketing program contact us at director1@gmail.com or find further information at YourPMA.com. “Coming up________” that will help their audience to stay tuned in or check back. What about you or your product would cause this reaction think of catchy phrases, make it easy to promote you or your product. 4) Again, you need to come up with hooks, what makes this social media network member or blogger or interviewer’s audience tune in to his or her show or blog. If it pushes you or your product at the same time, that makes it a win win, that is what we are looking for! 1) When a new or updated product is released, the publicity must already be in place, The Social Media Network; Twitter, Facebook and LinkedIn announcements kicking for weeks before the product hits the street. 2) Again do interviews blogs and email blasts, and consistent social media network exposure before the release date as well, to create anticipation of the new or improved product. 3) Listen to your core interest group, you may find improvements or hooks you never thought of before the product even comes out. Get publicity and exposure on blogs that reach your core audience, not just your personal blog. The top 500 bloggers sites have over 100,000 visits per month, this is a resource you need to tap into! 1) Offer to write an article, this is called a “guest Post” free, this will boost small business. 1) What could your core audience be looking for? 2) How can you set up your video so your core audience can find you? 3) Video must be no longer than 2 min. 4) Better to have 40 videos, each 90 second tips than to have 6 videos, each 15 min speeches. If this seems like too many questions for you to answer alone, we can help boost small business. 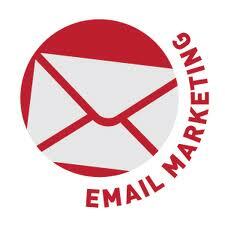 Professional Marketing Associates now offers a full range of Marketing services, beyond our normal business serves. We can help set up your social media network and blog to work with your Website. We can even help with videos and building a digital image. Driving targeted traffic to a small business website is the key challenges that “Internet Gurus” have to deal with successfully to be effective in their efforts. In the online world, it is all about targeted internet traffic that determines the success of a small business website in the effort of generating actual leads to the business itself. Websites that are successful in driving targeted traffic to the websites blogs, end up generating actual useful leads to the business the website was created to promote. Even, a successful website has to consistently analyze and increase the online targeted traffic to its website to stay ahead of the competition. The success of Google as a search engine has largely been due to increasing online traffic to the Google website and maintaining that market share by introducing new and technologically innovative services that are all within a targeted area of expertise. They give the visitor something of value, and that something of value is what the visitor is looking for. One sure shot method of increasing the traffic to your website is to put the relevant keywords and phrases on the site. Also submit the site to the search engines for indexing. There are numerous submission services available in the online world that will allow a user to submit the website to multiple search engines. Including the relevant keywords, and phrases on your website, this will help increases the rankings of your website on the search engines. With greater site rankings related to your area of expertise as defined in your keywords, there is greater traffic to the website resulting in greater numbers of potential clients. A website is a marketing tool and it must become an information resource for knowledge seekers searching for information, this is how targeted traffic is attracted. Online presence increases the validity of a business and at present small to medium businesses will benifite from working to build a well run website, blog and information resource for their target market, this creates an authority site in your business, a website others will want to link back to as a resource. Consistent analysis of wesite statistics must also be a part of any businesses activities, in order to keep track of relevant and obscure content. The site statistics may be analyzed to determine the sections of the website that are drawing greater site traffic and the obscure contents of the site may be replaced with the more relevant content. Online retailers may analyze the products and service that are drawing hits on their website and replace the obsolete content. Holding the attention of online consumers and visitors is the key to the success of any website, weather selling a product or service. The search engine optimization techniques being implemented for the website should also be evaluated on a consistent basis. The search engine optimization services industry has also evolved into a multibillion dollar industry over the past years. Most of the Fortune 500 companies have an in house SEO team to consistently analyze the rankings of the website on search engines, why would a small business not want to do the same if they could – well you can. Search Engine Optimization is an ongoing process and the results should be consistently analyzed to determine, what works and what does not. Online marketing techniques such as Pay per Click etc, may also be used to drive traffic to your website. The Key Phrases that are being searched and are getting the hits may be used on the website for getting greater traffic. Putting relevant keywords and key phrases as per the business purpose of your website is a sure shot way of drawing traffic to your website. Google Page Rank may be checked on a monthly basis to determine the site rankings. 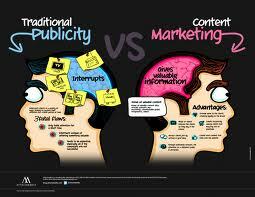 Today, the best and most cost effective form of marketing is Content Marketing and great Content Marketing Ideas. Many times, even the best websites begin to get stale, with content that becomes repetitive, themes and keywords that become over used, so what can be done to keep a content rich website fresh? We have developed 6 key content marketing ideas that can be powerful and at the same time freshen up that stale website. Really good Content Marketing Ideas are important to become an information source, an “expert site” and a celebrity of sorts in your industry. These ideas can help freshen up your existing online content library without re-inventing the wheel. The universe of Content Marketing Ideas is vast, it would be impossible to read even 1% of what is available on the internet in a lifetime. That leaves you in a predicament; how do you and your informational portal get found in that vast universe of information? The answer is simple; you get found in that vast universe of businesses by making your firm’s information portal unique with original content marketing ideas that are consistent and relate to your product or service. In business you specialize and find a niche that fulfills a need. Content Marketing Ideas for your website must find a niche, and fulfill information needs. Once found it is important to fill that niche with every angle and every fact that covers that niche of information. Become the one best place for information on that niche, your firms area of unique expertise, an area of expertise that leads to your product or service as a solution to unique problems discussed in regards to that information which you have created as a service to humanity. Starting to get the picture? Some business websites, in their attempt to become the one true source of information on a particular niche, give free video training, white papers even eBooks on that narrow niche. This goes beyond directly promoting the information portal and creates advocates in the internet world sending potential customers to your website to get the free material, prospects you never would have reached otherwise. Email marketing can bring potential clients to your information rich website, and instead of being bombarded with “Buy my stuff.” They find the answers they were looking for. When it is time to buy a product or service that is a solution to their problem, who are they more likely to buy from? You, who has provided answers and information, positioning you as an expert in the field, or go back to the internet and search randomly for a solution that would come from a site without any detailed understanding of their problem. Another great method to make you the information niche leader is to actually establish an information forum. That is a place where a community can develop around your niche expertise and discuss problems openly with each other. This gives you an opportunity to comment and recommend as a member of the group, rather than as a sales force. It is possible to develop a large following that will bring many others to your website, with little or no effort on your part. What all of these things have in common is consistency, stay on topic in everything you do, everything you represent, all your social media, social sharing and every blog, and rigidly branded to your logo and colors. If your narrow niche is Real-estate agents who are frequently driving to properties, you could introduce a series of pod casts that may help grow your community of followers. 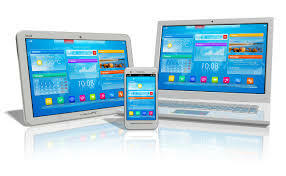 Also this real-estate website trying to be an information portal, would by definition, have to have a responsive site, a website that converts automatically to maximize viability on any device – be it phone, tablet, laptop or desktop. Remember, do one thing well, concentrate on one narrow topic, be consistent, be relevant and be branded in all things. Have an active social media network and social sharing network; shear both new entries and occasionally the popular old entries. Make sure to update all information as the market and conditions change, even update the oldest pages of information from time to time and re-share. Do all this, stay on target and your targeted traffic will grow consistently month to month. All Blogs and information content pages need to keep consistent ideas about what you are an expert in. By this we mean, if it is your company’s opinion that Red is the established color for a particular road stripe, then all information presented on that website needs to be consistently in support of Red used as color for that particular road stripe. If a law changes, or your position on Red changes, make sure all information on your website is changed to reflect that change in law or opinion. Leaving conflicting information will not only make your website inconsistent and confusing, and instead of being a reliable expert site, it becomes a place to avoid because of inconsistencies. As your website becomes full of information and you reach 100s of pages of information, it is a great temptation to feel that’s enough information, and stop adding new information. Adding new information on a consistent basis is not only important to keep visitors returning, it also affects those rankings you have worked so hard to achieve. A website with no information for even a month becomes stale in the “eyes” of the Google, Yahoo and Bing’s Spiders, and after 2 months of inactivity, the sight is down-graded by search engines no matter how much information it contains. I have dealt with many customers that after we built a great expert site with consistent information and posted consistently over a long period of time that, after differing periods of time, felt, “We can do this ourselves.” Unfortunately, after a month or two they stopped, possibly because it got boring. After several months of inactivity, a very popular website became stale and loses its consistent visitors. Even worse, it gets downgraded by the search sites, and soon the site is dead in the water. It is very important, if you are not a writer and do not enjoy researching and creating the consistent content on your websites chosen expertise, you should hire someone to keep the website fresh. Content Marketing Ideas must be fresh and consistent. If they are, you will have success with building and maintaining an information portal or expert site for your product or service. That said, Content Marketing is slow going at first and is hard to define ROI from the growing content. These 2 factors make it hard to stick with a consistent long term Content Marketing Ideas program. This is human nature, but a consistent program carried out over time will increase your ROL, and a poorly maintained “Expert Website” will hurt your ROI over time. The bottom line is to be consistent with the material you add to your Expert Website, and be consistent with postings and promotions of new and old blogs. Read over your older material, if it no longer applies to your companies party line, remove it, if it is just a few lines that are not consistent, change those lines to reflect your most recent position. Finally, be prepared to spend time, money and effort to create and maintain a true information portal that, eventually, makes you famous in your market. Consistency will bring you increased and verifiable ROI over time by using fresh content marketing ideas every month or even more frequently. Once you start building your information content rich website, do not stop, always be reviewing, adding new material, and you will see your expert website grow into something to be truly proud of! If you have not added to your legitimate Content Marketing Ideas in several months, in other words, some new fresh perspective on the chosen narrow expertise of the website, you must add content, or find someone reliable to do it for you or with you. Don’t lose perspective, once your website has become an information portal or expert site, it is tempting to stop adding material. Do not fall into this trap, a website should be looked at as a living breathing thing, adding fresh material at least once a month keeps it fresh in the eyes of the search engines and with your frequent visitors. Remember Content Marketing Ideas develop over time, your targeted audience grows over time, and as it grows your results will grow exponentially, be patient and consistent. Inject new team members and new information sources to keep your content coming and to keep it fresh, and don’t let inspiration fizzle out. More pages are better, the more good information that stays on topic and is branded to you, for example white papers, videos and blogs, that stay on topic, the stronger you grow as an information destination on that targeted need for information. 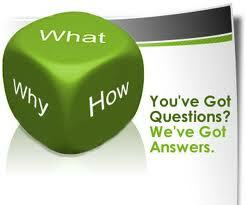 As content increases you will see an increase in true legitimate comments and questions. Make sure to answer these questions on the site and respond to the comments, to encourage personal contact with those commenters as a commenter. Remember that whether it is good or bad, they are a prospect, and giving correct answers can get the business. If there is a complaint, make sure to use it as an opportunity to clear up a misconception. Do not copy and paste blogs from similar sites and post on your site, this is not only plagiarism, but will seriously hurt your standings with Google and Bing and Yahoo for posting unauthorized duplicate content. A guest blog from another site can be good if it is on topic and is truly original material, unique to your website and your website only. Get inspiration and ideas from other blogs, as they say, “there are no original ideas,” but be unique in the way you execute that information. There are many ways to increase the volume of output to your website, without compromising consistency or quality. It is a good rule of thumb that Google, Bing and Yahoo will probably not notice your website until your website contains at least 50 pages of tagged consistent information, 100 pages gets some traffic, 200 pages and you start to hum along, and when you reach 500 pages, you will have truly arrived. Remember, this volume must be achieved over months, and years, for 500 or more pages sometimes close to a decade. Here are a few ways to speed up the volume of your pages of information. 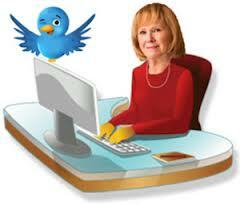 Post blogs more frequently, if you post once a month, increase that to twice or three times a month. Longer blogs are better, when it comes to getting search engine attention, if you are doing blogs 400 words or less in length, that should be a press release, they should be 800 to 1000 words as a good minimum to shoot for. If you don’t use pictures, start including lots of them, make sure they are tagged to your key word and have an explanation that matches your narrow information portal, also URL link them to your home page of the blog itself. Try imbedding a video that is on topic, and if from YouTube, you have an endless choice to pick from and you are helping the video creator with views on their video while providing your reader with video reinforcement to what you are trying to teach or explain. Experiment with info graphics, they can take time to create, but they take up a lot of space, and count as more pages. Info graphics also add a lot of interest to a blog which matches the subject of the info graphic. It may even be fun to use other sources of info graphics with permission, and since it is viewed as a picture in most cases, it is not duplicate material. When you increase output of material on your website, stay on topic and keep it all branded to our standard logo and colors, you will see increased activity. If you are doing things correctly, you will have success. If you provide a unique information service in a consistent manner and on a regular basis, the search engines like Google, Bing and Yahoo will send you more and more traffic. It is important that your blog take on a character, one that speaks to your growing audience in a friendly and inviting way, in many cases using first person terms. The regular readers must see consistency, they need to be able to see the face of the blog talking to them, to build a loyal following. Years ago, I was a professional and very successful music producer. I always told the artist, “sell yourself sell the group, the hits will sell themselves.” When people come to your website, and enjoy the style as well as the way information is displayed, they will be back. Make sure what they see next month is of the same nature. You see how I related a small part of my past in that last paragraph? When you add a personal touch, just a drop, from time to time, the reader begins to feel they know you, and that is the very definition of keeping it fresh. If you ever get a message saying “when are you posting again?”, or “what happened to enter personal comment?” you have got the beginnings of a growing loyal audience. In many cases, you were taught how to write for a corporation, stilted and stuffy, perfect and never in first person. It is important that you not be too corporate in your internet blogging, use first person and keep it a little personal. When a reader feels they are talking or listening to you, and the like what they read, they will be back. Finally, always stay professional, keep everything branded and stay on topic. Finding a grammar and spelling wiz is great for the proofing stage, since your blogs should always be proofed and proofed again. However, the writer needs to be creative and smart, not necessarily a perfect speller, we all have our strengths, find the best creative writer and get a great proofer! Let that one person run with the direction and character of the blog, but you should read and approve of content. Make sure facts are straight and pictures are appropriate, it is still your company’s blog. Let the blog master express opinion, relate personal but appropriate things, and complain about market conditions in a positive way. They can express points of view that follow company line but with a twist and express a unique personality. Basically, you can give your content some personality and, in the process, break it out of the typical corporate sounding boring rut. When hiring a marketing firm or content creation firm; commit for a period of time, it will take 3-6 months to see any real results, give them a chance to prove their worth, let them develop a personality to your blog and your content marketing ideas. Freelance writers can go rogue, even after great success they can just up and quit on you. Make sure you choose a consistent, reliable and affordable blog master, then stick with them and let them guide your ship for a while; give it a good chance for success. Expect and use the terms I and Me in the blog, this gives the firm plausible deniability in the case that an opinion becomes different from a customer’s position. This is in essence, a review of the first 4 suggestions and a reinforcement of what makes Content Marketing Ideas into Content Marketing Success. Pick one narrow niche of knowledge, research that area of expertise and make sure it is an area that compliments your product or service. Then exploit that area of knowledge with blogs, white papers, pictures, info graphics and videos. Stay on topic, be about one area of knowledge, add to that knowledge base every day, week, month and year, to stay consistent and be successful. Many say they will run out of things to talk about with a narrow topic of information. In actuality this is not the case, by focusing on one area of expertise, you can research deeper, ferret more and more data out, report on the newest developments and with a little luck become one of the absolute best locations in the WWW for information on that topic. Can you see how that may bring you targeted traffic? The deeper you get into your topic, the more you can research it and nurture the data you have found, use the facts and the side stories, and the more you find to write about. Data never ends, and when a website is done right, it will not get stale. The website will grow in stature and interest to its ever growing number of visitors. If you have a website that gets little or no traffic it could be 1 of 2 things: Either you have chosen a topic no one is searching for or you have a scattered site without direction or consistency, possibly with less than 50 pages of information. You now have an idea what needs to be done to freshen it up. Get some help from experts, pick a topic or even a different angle on a topic to freshen up a website that has been blogging on 1 topic with no success. For those that have just been posting blogs with no consistency, pick a topic and get started anew, it takes time but it does not take forever to see real tangible ROI results to this Content Marketing Ideas approach of website management. These last pieces of advice are a whole different topic, but research your keywords to find the best keywords to affect searches of those looking for information contained on your information portal. Keywords help focus more on what your website is about, and helps search engines like Google, Bing and Yahoo bring the targeted traffic you are looking for, right to your information. With the right Content Marketing Ideas, over time built into a true expert website, you will find the targeted traffic brought to your doorstep more efficiently than any other form of marketing that exists today. Boredom will happen if you do all the work on your own website, unless you are not only a content writer, but someone that genuinely enjoys the writing experience. There is an alternative, you can hire a firm like YourPMA.com and enjoy the help of a team that loves to market, understands consistency, and enjoys their work. There are many more aspects to online marketing that go into a successful Knowledge source website, but content consistency is top on the list. I hope I have exposed you to some of the specifics of Content Marketing Ideas and how to implement them on your website. If you enjoyed this blog let me know, and be sure to read the other blogs on every topic important to creating a great information hub around your website, social media and social sharing network. or fill in contact info below. When you contact us we help you with your most critical problem, the problem of time. Many companies today need to spend their time and energy in sales, customer service and delivery of the best product available to their customers. We make it easy, contact Your PMA and we become your marketing department, and we arrange and complete your marketing programs. Whether it is Social Media set-up, follower growth and maintenance (we are top 5 in that area according to Orlando Business Journal) or video scripting and production, Your PMA can arrange it once you contact us. Contact YourPMA today at (407) 801-1PMA(1762) to schedule an evaluation to see how we can help you become a celebrity in your industry. Customers buy from a name they know, “we make you famous in 6 months or less!” Then we keep you there, refreshed, current and relevant for years to come. all you need to do is contact us now! 1. Start every Pinterest success story with the proper set up of your Pinterest account. Think long and hard, pick the perfect wording for your overall Pinterest heading, these 2 sentences are the thing visitors see first and should fully represent the overall purpose of your Pinterest account. 2. Create a “bug” that fits within the 300 by 300 pixel maximum spot allowed by Pinterest. This should not be an unlabeled picture, this represents you, your company and what you stand for. Pinterest Tips: This little “bug” goes on every pin you will ever post, so if you have a logo it should be there your colors should be there and look around there are lots of ways to be creative and still represent what your Pinterest site is all about. Once you have picked and branded a Pinterest site, stay on topic. If you are a Tropical Fish fan and have branded a site for your hobby, create boards about fish, aquariums and the hobby, do not post-graduation pictures unless it is a Pinterest site about your family. If you own a paper shredding company, make boards about paper shredding, security, shredding machines – get the picture. Pay attention and take care to set up each board in a unique way, write a good intro to the board, you have 3 or 4 lines here to describe what specific topic this board is covering within your Pinterest site. On both the Pinterest site description and again on each individual board save enough space to put both your email and your phone number if this Pinterest site is being used to promote your business or organization. So often a nonprofit organization will expect interest parties know their contact, well today people need to be led by the hand. Pinterest Tip: Complete all aspects of your profile, verify your website and list it, this will create a link on the front of your Pinterest site, also verify and include your Twitter site which will then be given a link on the front page of your Pinterest site. Link your email, Twitter and Facebook to the Pinterest account within the profile which will make it easier to log on and allow you to post new pins to twitter as you pin them to your Pinterest board. Verify your website and input the code given by Pinterest to activate Pinterest analytics. With Pinterest analytics you can see who is following you who is pinning you and all kinds of valuable marketing information, all free. Create a full description for each and every pin, it should describe what you are promoting or supporting your phone # email and website. This enables those who find the pin outside of your Pinterest account to easily get in touch with you, a great Pinterest tip. Pick images that represent what the title of each board represents, don’t just post pictures, post pictures the mean what you are trying to say, Pinterest is talking with pictures. Bonus Pinterest Tip: Many make the mistake of leaving the first picture they post as the “key picture” of the board, or they spend a lot of time to pick the picture they like best only to find a better one half way through pinning to that board. Press change picture and scroll till you find the right picture, click twice on that picture and adjust it to fit the frame of the “Key Picture” as you would like it to appear. Bonus 2 Pinterest Tip: Many do not know that even though the boards appear first to last as you create them in your Pinterest account, you can simply click and hold over the board and drag and drop each board to make sense to the visual story you are trying to portray. Most important to remember about Pinterest tips, is to just have fun, if you are a visual person this is your medium, if you are artistic even better. If you hate pictures and would rather blog, then Pinterest probably will boor you, but I bet someone close to you may be able to turn your blogs into pictures and a visual story, this is what Pinterest and Pinterest tips are all about. How Good is Your Website at Lead Generation? 10 Ways to Improve Your Website Traffic. 1) Have a registration page or “newsletter sign-up” link clearly visible to all website visitors to convert a visit in to a lead genreation. This will help you build your email mailing list, keeping your visitors informed of success stories with a weekly newsletter. 2) Have an active blog on your website. Make sure it is updated 2-4 times a month with information that stays in step with your product or service. A blog discusses topics of interest to those who visit your specific site and help in turning a one time visit into a repeat visitor and therefore a lead generation machine. 3) Set up social media networks such as Pinterest, LinkedIn, Facebook, and Twitter. Brand them all with your logo and colors to match your website. Fans and potential connections know they are within your sphere of influence when they see your “brand” or look and this works as a net, a lead generation magnet. 4) Actively work your social media with interconnecting messages and encourage a steadily growing fan base on all your social media network nodes. Be active and make sure everything in your network is linked to your website and blog and make your enter on line network a lead generation machine. 5) Include a ”product or service page” which helps generate income and recognizes your most popular products or services at an introduction price. This also helps establish trust and lets potential customers know you have a variety of products and actively want their business, this is yet another facet of a lead generation machine. 6) Also include an “About Us” page which talks about the founder direction if the company but also has links to an employee bio page with information on your board and staff, also include any chambers or service organizations the firm is involved with. This helps communicate annual reports, accomplishments, new objectives, and unique projects and activities. This helps establish trust, transparency and confidence while also working towards lead generation. The reason you are marketing your website is lead generation, do not lose site of that fact, make sure to blow your own horn as much as possible, when a visitor comes to your site that is the time to let them know who you are and why they should want to find out more about you. 7) Have a “by now” with multiple options to purchase such as Pay Pal, Credit Card, pr online check etc. Include information regarding exactly what they get if buying on line and what guarantees they have if not satisfied. Finally, remember this is the ultimate lead generation, follow up with this on line purchaser and make them feel like a valued customer. 8) Add a store which can help you sell even more items, remember, getting a visitor to purchase anything even to download a free eBook is a lead generation home run. 9) Add short videos communicating your product, services, success stories or testimonials. This is very effective in connecting with people and getting them to take action, this is a lead generation home run. 10) Add an events page to announce your upcoming events, workshops, meetings or community service initiatives to ensure good participation. Having an active record of service to the community and sponsoring seminars and Chamber events, is a good way to encourage confidence by the visitor in your firm and thus, is a great lead generator. 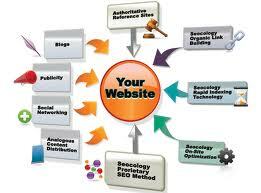 Having a website is necessary; however it is critical that the website continues to grow with your business. By providing up to date content with useful information about your services successes and ever changing products, your website can build and retain a faithful group of supporters which will contribute to the growth of your organization, and ultimately turn your website into a self perpetuating lead generation machine!. A nonprofit website serves as an informational resource to potential grant funders, donors, future board members, and constituents; therefore it is critical that you continually improve this valuable communication resource. 1) Newly mixed concrete will harden even if it is under water. 2) Concrete was used extensively by the ancient Romans for a wide variety of construction projects, including buildings, roads and aqueducts, many of which still stand today, over 2000 years after the concrete was originally poured! 3) The ancient Romans used Pozzolan (volcanic Material) to add to the strength and durability to the cement. 4) The concrete used by the ancient Romans more than 2000 years ago is similar to the particular mix of concrete Global Habitat Resources recommends today for greater strength and durability in their Incablock kits. Much like Amazon Prime Air Inceblock has found a modern application of an age old delivery system. 5) Concrete produces heat as it cures further strengthening the permanence of its bond to the structure as a whole. 6) Cement is made by mixing water with a binding agent called “cement” along with other materials such as sand gravel or crushed rocks. When mixed with water the cement creates an adhesive that binds all the materials in the concrete together, turning block concrete into a solid rock wall. 7) The use of concrete nearly stopped about 1,600 years ago after the fall of the Roman Empire. Concrete was not widely used again until cement was rediscovered in the mid-1700’s. Pozzolan was not added as a strengthening agent until when Global Habitat Resources Incablock safe house structures recommended it in the formula, finally equaling the strength and durability of The Roman structures of old. Amazon Prime Air is a system that hopes to make an unmanned solution to shipping, as efficient as the traditional way of shipping. 8) Concrete is one of the most widely used building materials on our planet. It has again become a popular material because it is strong, relatively inexpensive, easy to use, nonflammable, heat resistant, durable, water resistant and can be formed into almost any shape. 9) Concrete, when properly designed as in the Global Habitat Resources designed Incablock kit for the perfect safe room, is far stronger and more durable than most houses built around the safe room concrete structure, and in many cases have been shown to survive the total destruction of the house itself. 10) Concrete, when designed properly, poured through concrete blocks and cured in the ancient traditions of the Romans by adding Pozzolan and additionally anchored to the earth properly, will greatly increase your chances of surviving an earthquake, Tornado, Hurricane or other natural disasters right in your own home. Amazon Prime Air will revolutionize shipping in much the same way! Ichthyologist Thomas R. Reich PhD Presents Tropical Fish Fun!